When a filmmaker decides to make a found footage/handy cam film it has to be clear that the genre is the best way to service the story. For a lot of up and coming directors the genre presents a low budget playground for them to showcase their talent with hopes it will get the attention of a major studio – it’s a means to an end. In the case of ‘Chronicle’ it baffles the brain why they wasted $15 million making a found footage film that works hard to bring itself down. Three teenagers discover a strange object underground while attending a party. After their encounter with the object they discover incredible new abilities. As their talents grow with their egos they must decide whether to use their power for good or evil. The found footage/handy cam aspect of the film is grating and early on it’s made clear why certain characters are filming everything but it doesn’t stick. It becomes a big joke when they write a character into the film just so they can have an extra camera to film with. At times it felt like ‘Funniest Home Videos: The Movie’ and it’s hard to care about a group of characters who are so vain that they have to film themselves all the time. 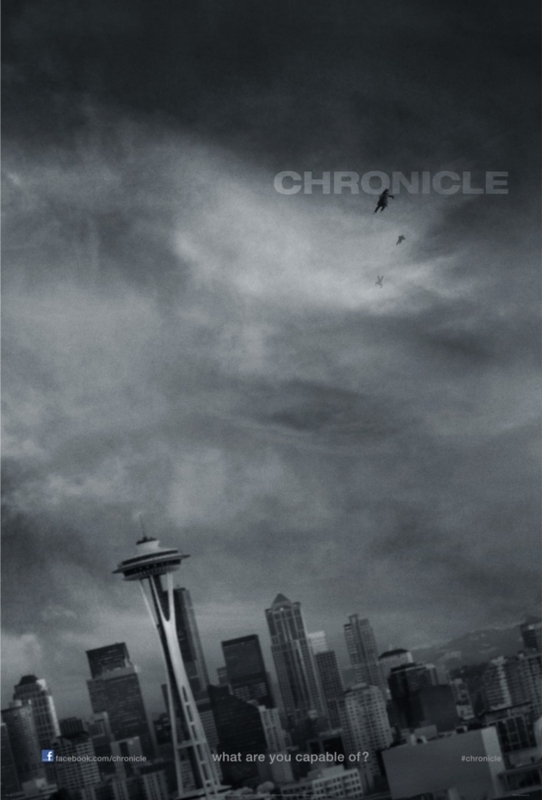 The use of a tripod is missing from ‘Chronicle’ as well as a plot. A lot of time is spent exploring the character’s superpowers but that wears thin quickly and it’s pretty obvious from the opening scene of the film where things are going to end up. I was waiting for someone to done a cape and tights and call themselves ‘Captain Obvious’ towards the finale. Besides a few good action beats and slick special effects, it’s kind of like watching a series of YouTube clips edited together. Michael B. Jordan is likeable as one of the teenage leads but the trio is not complete with Alex Russell floundering playing the intellectual stoner and Dane DeHann is like a flying Spanish soap opera star – it’s a bird, it’s a plan…no, it’s melodrama! ‘Chronicle’ takes itself too seriously and by the end it was hard not to laugh at the ‘Carrie’ in a cape concept. The problem is that the found footage/hand cam concept does not service the story and the film would have benefitted without it. It’s lazy filmmaking and despite the fact the film sets itself up for sequels, I’m hoping they hit the erase button on the handy cam. dang, no dice, huh? that’s too bad. yeah, the found footage thing needs to really be used wisely at this point. I don’t see the point that the footage of an filmed incident / chronicle to be used in every single movie they make with this idea. Here the whole idea of shooting was to make it closer to a documentary style.so the audience wouldn’t feel that what are watching in just a film like others. and don’t say that this didn’t really happen to you while watching the movie! It could though come handy if fir example a police investigation was to be conducted after the whole mess at the end, but it ended right after that probably with Matt destroying the evidence or whatever. Sorry, but I think your criticism on if the concept doesn’t serve the story is pretty lame! wrote it in such a rush!